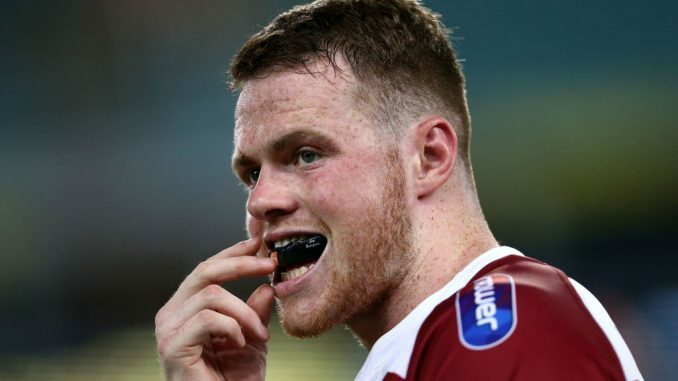 Joe Burgess has been inspired by Wigan team-mate Dom Manfredi as he aims to recover from a long-term injury. The 24-year-old has been out of action since last May after suffering an anterior cruciate ligament injury in a game against Widnes Vikings. But he has been motivated by fellow winger Manfredi, who was out action for two years with two major injuries, to come back bigger and better. He told loverugbyleague.com: “I’m not fully fit yet but I started running before Christmas and it feels good to be honest, I was expecting it to feel a lot worse at this point so hopefully I should be back at the start of March. “I’ve not penciled in a particular game or anything like that, I just want to get back as soon as I can. “Dom has given me a lot of inspiration. No matter how down I am, I look back at what he’s been through over the last two or three years and that gets me through it. Adrian Lam has taken over the head coaching reigns at the Warriors, following the exit of Shaun Wane. And Burgess revealed that he likes what Lam has brought to the club. The England international added: “It has been good so far. “Obviously, it wasn’t nice to see Waney [Shaun Wane] go but sometimes change is what it needs. “I know we won the Grand Final, but the change just brings a bit more variety to us. I’ve not been training with the lads because of my rehab but I will realise how different it is in two or three weeks when I’m training with them fully.